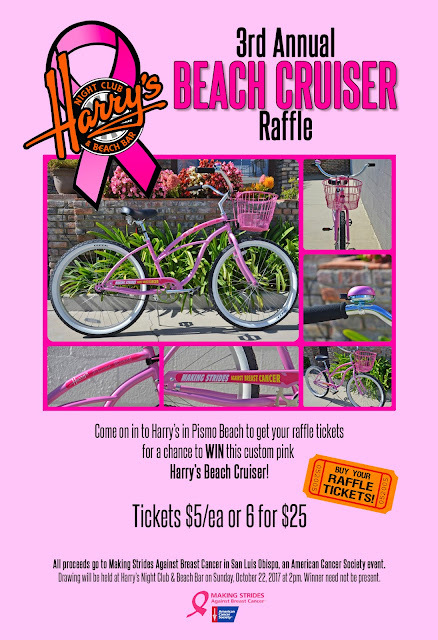 Buy a raffle ticket to raise money for the Making Strides Against Breast Cancer in SLO and be entered to win a Harry's Custom Beach Cruiser! $5 per ticket or 6 tickets for $25! Tickets will be available at Harry’s Night Club & Beach Bar. 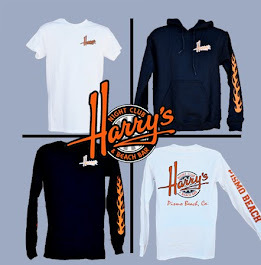 Our Giveaway Event where the Winner will be selected is Sunday, October 22, 2017 at Harry’s Night Club & Beach Bar. Winner need not be present. For more info or to donate, please visit http://main.acsevents.org/goto/doitforthegirls​ or go to www.HarrysPismoBeach.com. This is a very new and effective campaign in my opinion. whi ever thiugh of it has a creative mind and there is a better chance of people moving towards the cause.